Aptly named Swatch Pack because it's sooooo much more than a colour swatch. Just £7.95 will buy you a wonderful up to date swatch deck that is small enough to fit in your handbag but large enough to match to your colour scheme. Containing a sample of each of our cardstock the swatch deck is packaged in a beautiful gift bag complete with one Pocketfold in an unspecified colour. We recommend that you purchase this pack first to not only see and feel the quality but more importantly to avoid a costly mistake. If you'd like to sample specific items before you buy please use the additional sample request option. Please remember to use the comments box to tell us exactly what you want! 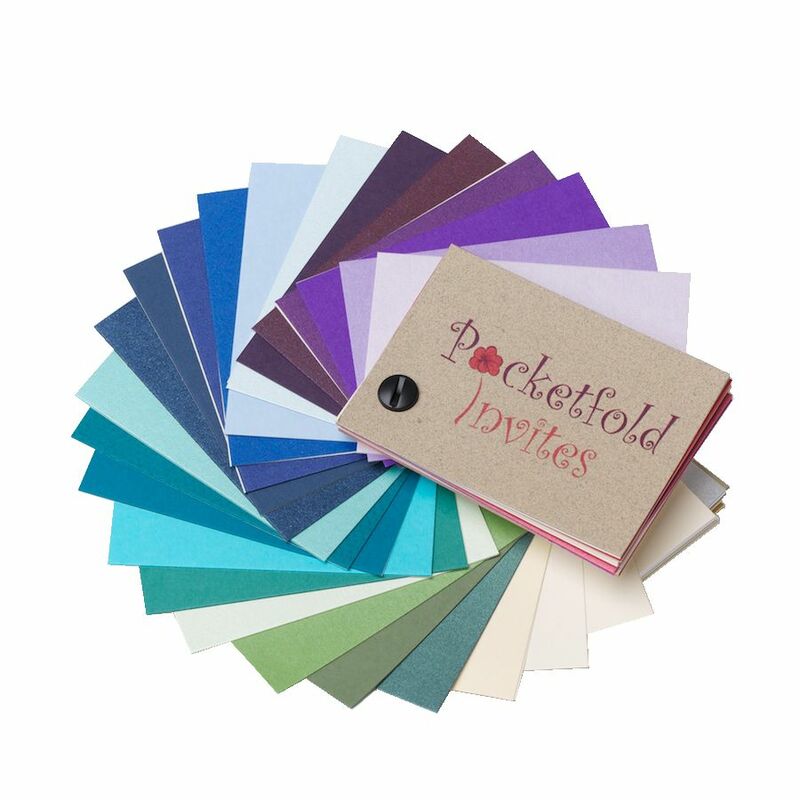 The pocket fold swatch pack was a great tool to help us pick our invitations. We chose the Ivory Pearlescent Original Pocketfold with card stock to match, this complimented my dress perfectly. The best bit was that I got the money back from the Swatch Pack! Well done Pocketfold Invites, good work!